A major issue when using Google Photos to preserve your old photo galleries was users’ inability to change the dates linked within each image’s metadata for a whole group of pictures. This feature is a must-have in order to keep all of your photos neatly organized without affecting associated metadata. For example, if you edited photos after the original date they were taken, or if they were shot on digital cameras in the era before smartphones. Luckily, the wait is over, users can now choose to modify dates for groups of photos instead of one by one. The way to go about it is fairly simple. Once you’ve selected the images that you want to edit, a menu bar drops down in the upper right side of your screen. From there, just select the option to edit date and time. 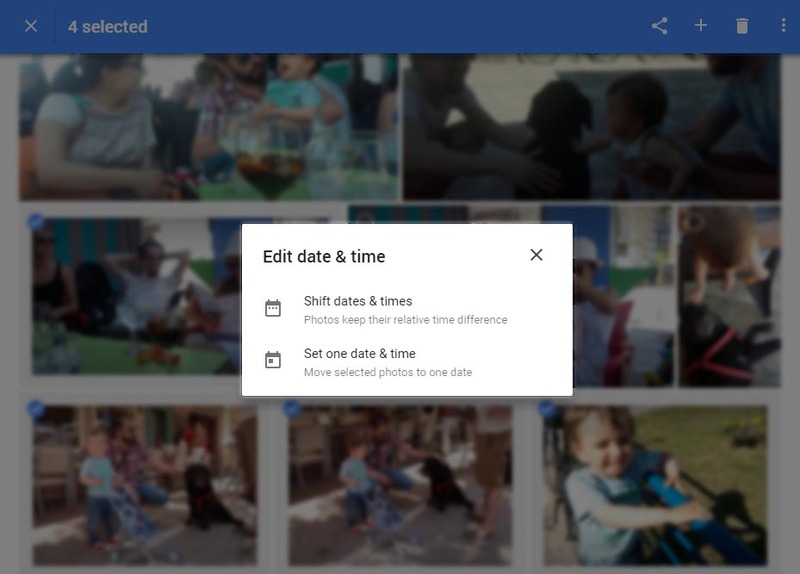 At this point, you’ll be able to make changes in two different ways, either by moving the selected photos to one specific date, or having your photos keep their relative time difference by shifting them. Basically, the second option is something like what happens when you re-sync subtitles by dragging a bit further along on a reel. The time that goes by between when one picture was taken, and the next is kept, but all of them are shifted to a later date proportionally. With this new feature, Google Photos has become one of the best tools for saving and organizing your digital photos, and is ranking well above competitors within its field. In a recent Google I/O event in 2016, this app was said to have been used by over 200 million active users each month. We’d say those numbers are pretty hard to beat.